One Savvy Mom ™ | NYC Area Mom Blog: Must-Have Halloween Apps That Find The Best Trick-or-Treat Routes, Estimate How Much Candy You'll Need, Keep Track Of Your Kids & MORE! 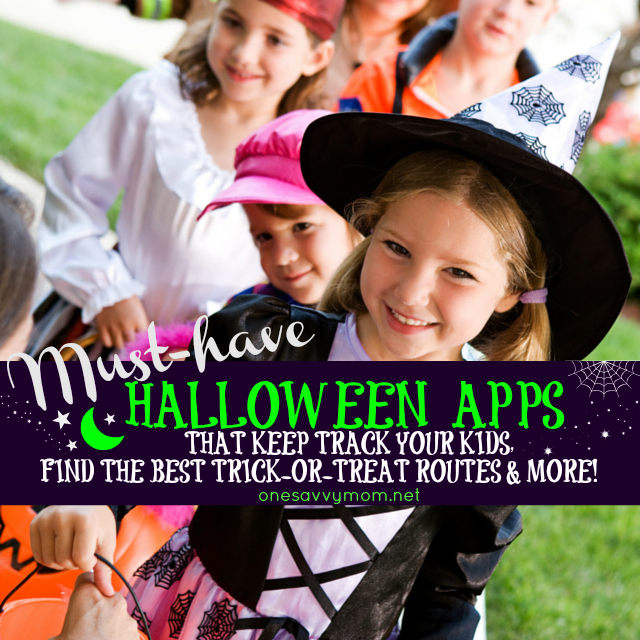 Must-Have Halloween Apps That Find The Best Trick-or-Treat Routes, Estimate How Much Candy You'll Need, Keep Track Of Your Kids & MORE! Halloween is one of your kids’ favorite nights of the year, but as a parent it can be one of your most stressful! From getting costumes together, to stocking up on enough candy, to keeping track of your trick-or-treaters while they’re going door-to-door, Halloween can be downright frightful for parents! Download the list of apps below so you can avoid all the worry, and instead prepare to have a great holiday with your little monsters! Trick or Tracker - Rein in the tricks on Halloween night with this app. Install on your phone and your kids’ phones and you’ll always know where they are! Nextdoor - Do you want to know what houses are the best to bring your kids to on Halloween night? This local social networking app can help you navigate around empty houses and make a beeline for the candy! Sign in under your name and put a candy corn over your house if you’re handing out treats, or use the map to scope out your neighborhood. GoblinCount -Are you afraid of hordes of angry trick-or-treaters coming to your door and finding you empty handed? Use GoblinCount before you buy your Halloween candy and you can plan according to how much traffic your neighborhood is expecting. Instructables - Why buy costumes for your kids when you can have a great time making them? Use this app for instructions on creating some cute kids costumes! Halloween! - This is the comprehensive Halloween app for having fun with your kids. Find costume ideas, phone wallpapers, and spooky Halloween trivia all at the touch of a finger! It even comes with a Halloween flashlight to brighten your trick-or-treating path. Thanks to our friends at AT&T for curating such a great list of must-have Halloween apps for our readers!